Our house-made compost is turned into garden gold! Did you know? We make all of our liquid compost extract in house; liquid compost is the key ingredient of our popular Soil Building program. Because we make it ourselves, we always know exactly what we’re putting into your soil. Well-fed soil teeming with beneficial microbes will help you grow a vigorous, emerald green lawn the natural way; that is healthier for both your family and the environment. Our compost gets a boost! When we make our organic compost on-site, we also add worm castings from Texas Worm Ranch. By adding worm castings our compost gets an even bigger boost of live beneficial bacteria, protozoa and beneficial nematodes. We then turn that compost into liquid compost, which is a more nutrient-dense liquid concentrate. Minerals, nutrients and beneficial microbes work together in the liquid compost to increase the bioactivity in the soil. Healthier soil means your plants are stronger, better able to withstand our weather extremes and are more resistant to pests and diseases. 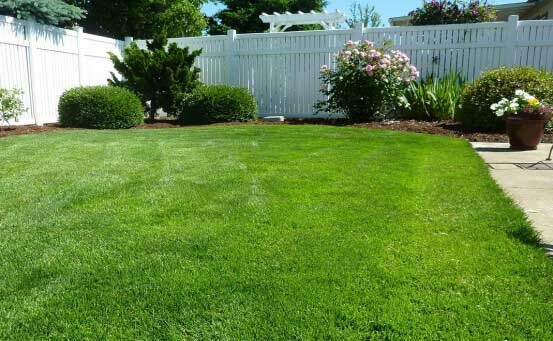 How does liquid compost extract help grow a lush lawn? Soil is a living organism that must be fed and nurtured in order to stay healthy and strong. When soil is healthy, bioactive and full of nutrients your plants need, you’ll be able to grow a lawn and landscape plants that are stronger and look more beautiful. Improves texture. Loose, crumbly soil is easier to plant in and easier for roots to grow in. When soil is compacted, it suffocates roots and discourages the uptake of nutrients. Increases bioactivity. Creatures such as earthworms, beneficial nematodes, mycorrhizal fungi and good bacteria thriving in your soil means your soil has good oxygen flow and less compaction. Reduces the need for synthetic fertilizers. Over time, the more organic elements are added to your soil, the healthier it becomes. Synthetic fertilizers deplete soil of essential nutrients. Over time, your lawn becomes dependent on the synthetic fertilizers for its nutrients instead of relying on the soil. While liquid compost is the main treatment ingredient used in our organic maintenance plan, there are other important ingredients we feed to your soil to keep your lawn looking it’s best. Worm castings and humic acid also help keep your lawn strong and lush. For more information on how our eco-friendly treatments work, read our past post on why and how organics work.